Hoping to have a great home sale this year? The first step is finding a great REALTOR®. Expert home seller, author & Real Estate Broker Brett Furman offers suggestions from getting your house ready to the final closing of your home. The Internet can provide you with an abundance of real estate tips and advice, but it’s extremely beneficial to work with a real estate agent who understands all of the nuances of selling a house. Brett Furman, a Broker/Owner in St. Davids, Pennsylvania, suggests a good real estate professional can guide you through the process and make the experience as simple and quick as possible. “A great REALTOR® will help you set a competitive price, market your house, and help you with getting it to look its best. Your agent will list your house on a ‘multiple listing,’ a service that lists homes from all realtors in the area,” says Furman. 1. 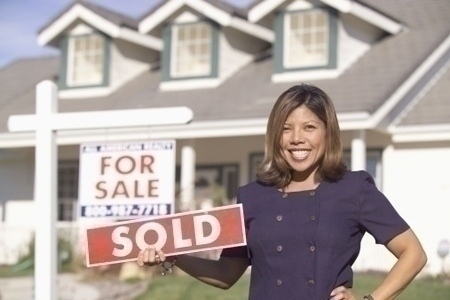 How long have you been marketing real estate? 2. Do you have a Broker’s license? 3. What do you know about the market in my area? 4. How many people did you help buy and sell houses over the past two years? 5. Am I locked into a contract with you, and, if so, how long? 8. Will you produce a movie/slide show of my home? When speaking with a prospective REALTOR®, it’s important to ask questions about their expertise and knowledge about local properties. Most importantly make sure that your personalities mesh. “You’ll save hours of trying to figure out what steps to take to sell your house if you have a realtor guiding you through the process. They will help you in the final stages with negotiations, payment, closing and moving,” adds Furman.